Let our Party Bus take care of all your party needs. We'll do the pickups, booze, fun and drop you home. Express Bus provides shuttle services for some of Irelands largest and most advanced Industrial Estates. We also provide minibus, bus and coach hire for airport transfers, school day trips, weddings, college events and private trips. 1800 Hummer has been operating tours for 14 years. This unique concept was brought to the Ireland by Express Bus. Since it conception thousands of revelers from all corners of the World have experienced the unique Stretch Hummer concept. 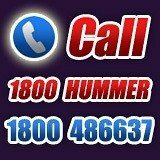 Over the years there have been a number of companies claiming to be 1800 Hummer. We do not offer drinks at every venue or 1/2 price tickets, as we feel that this would downgrade our product and that the clientele we would attract with these offers, is not the sort of clientele you would want to spend a night out with. WHY SHOULD YOU BOOK WITH AMC? For all male parties we restrict the size to a maximum of 20 males per group. This ensures a succesful and memorable night…for the right reasons. 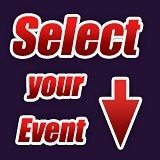 Satisfaction Guarantee – if you are not happy with any element of your booking we will give you 10% off your next event.